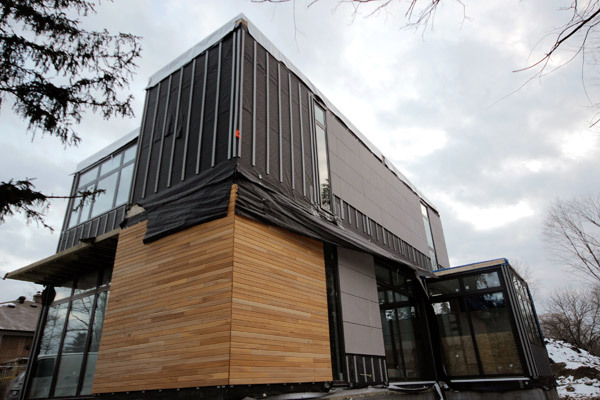 When I’m looking for a piece of fantasy real estate, I usually don’t go for detached, suburban (albeit in a very Dwell magazine sort of way) homes that sit north of the 401 (which, for people who don’t live in Toronto, is a bit like living on the moon). But when I saw 20A Senlac Rd. on Torontolife.com today, I made that soft, sad whimpering noise that I make when I’m thinking “damn, I’m poor and I wish I weren’t.” With an asking price of $1.7 million, it would take me over 40 years to save up a 10 per cent down payment, and then the rest of eternity to pay back the mortgage. If I had kids, I would especially long to live here. True, me having little ones is as much of a stretch as ever being able to afford this house, but whatever paternal feelings I have were stirred by the ravine setting and the perfectly decked out little nursery. Sigh, here’s how I’ll never decorate the house for the kids I’ll never have. The Place: The four bedroom prefab was designed by celebrated American architect Ray Kappe — who has, incidentally, been featured by Dwell magazine. Thanks to a combination of factors — a deep-rooted fear of debt, my poor choice of career paths and an over-inflated real estate market — It’s a foregone conclusion that I’ll never be able to afford a house in Toronto. And if I did buy, it would likely be a bachelor condo the size of a hamster cage on the fringes of civilization (heaven forbid, somewhere north of the 401). I’m picturing a life where I’m too poor to hang curtains or buy any furniture, yet too stressed by my massive mortgage payments and claustrophobic digs to even care. So while I can’t buy a house, I’ve decided to torture myself with indulge in fantasy real estate — basically, from time to time, I’m going to be picking the places that I’d like to buy, and blogging about how I would decorate them to make them my own. 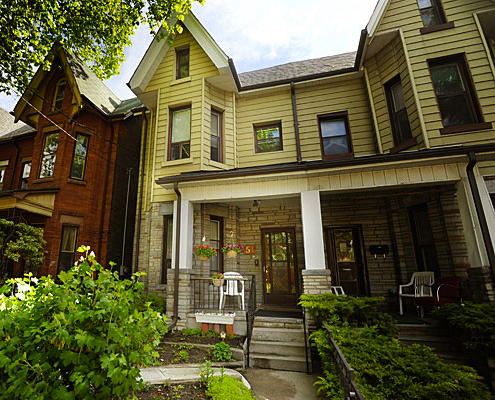 The Place: 15 Crocker Ave., a two-bedroom, $519,000 Victorian townhouse near Trinity Bellwoods. It’s around the corner from Nadège Patisserie, which means I would get happily fat eating too many butter croissants and gin-and-tonic marshmallows. Overall, I like the neighbourhood and think this would be a fun fixer project. Toronto Real Estate: Why Do You Tease Me? The sad fact is that I can not, under any circumstances, afford to buy a house in Toronto. I can barely afford a new pair of runners or wine with dinner. Yet, like a tween girl (or boy) with fantasies of being whisked away by Justin Bieber, I can dream. And I have a serious real estate crush at the moment. 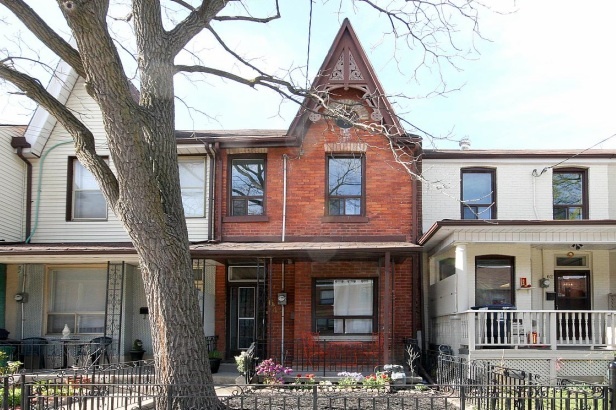 It’s a peaked-roofed, brick Victorian row house in Kensington Market, with a garden in the front and bright, clean-lined interiors. Last Sunday night, before the sun went down, my boyfriend and I decided to stroll through my favourite Toronto neighbourhood and casually look for a new place to live. Right now, we rent a 1950s, 800-square-foot, ground-floor apartment near Sherbourne and Bloor. It’s a nice spot (we have our own garden and the building is quiet), in a nice area (we’re caught in a sweet spot between subway access and a lush, peaceful ravine). But I’ve always loved the neighbourhood around the Art Gallery of Ontario, at Beverley and Dundas West. 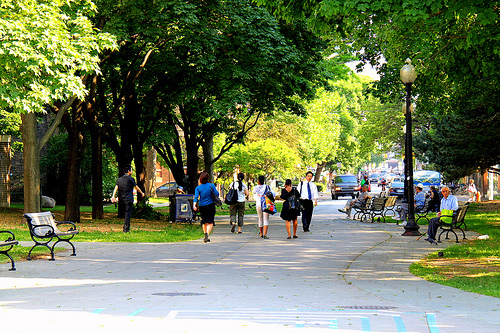 The streets — leafy with lots of Victorian semis — are incredibly charming, and it’s near the Grange Park, OCAD, U of T, Kensington Market and Chinatown. Plus, my boyfriend and I are getting to that stage in life where renting is starting to feel too student-y (he just turned 30 and everyday I feel my 20s slipping away). 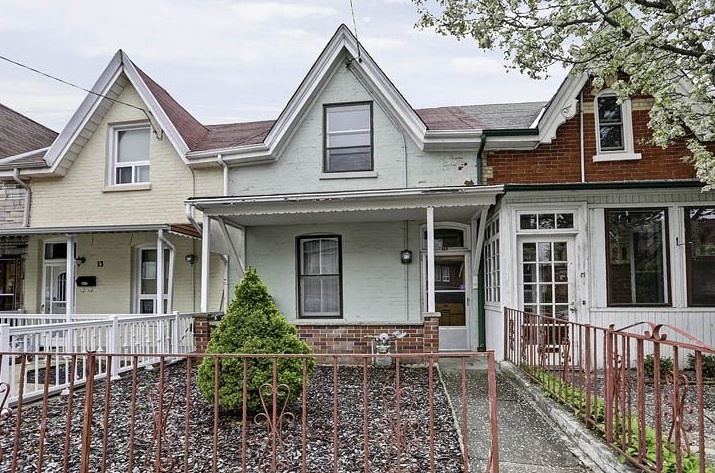 The first For Sale sign we noticed was for a tumble-down brick bungalow the size of Timbit. It looked a bit sad, with a yard of concrete pavers enclosed by a wobbly chain link fence. But before I could utter the phrase fixer upper, I was choked by the price. Over half a million dollars. The revelation made me feel both insulted and poor. I briefly tried to rationalize the price — good location, cute shape (with a little peaked roof) — then my brain started to hurt, so we moved on.